Literary Lindsey: It's Monday and I'm not ready for September!! I'd like to read your views on the Bohjalian book. I've heard so many rave reviews about this author, but this will be my first time reading his work. My week was busy as well :) My oldest daughter will graduate high school in just a few weeks - I have no idea where the last 17 years went! Oh my goodness. I'm not ready to start thinking about that one yet! What an exciting milestone for her (and for you)! Yay. Fin and Lady and The Light in Ruins are both books that I am interested in reading. I look forward to seeing what you think of them. Hello back from the US! The Bookman's Tale was a lot of fun. I was so fascinated by the history and all of the insight into making and preserving books. I would also be interested to see what you think of The Light in the Ruins. That's right! When do you start school in the UK? If you figure out where the time went, let us all know! 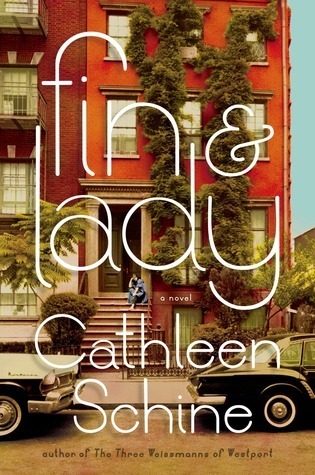 Haven't heard of Fin and Lady but that's a nice looking cover! Happy reading! It is exciting! I think I'm more nervous than he is though! Awww understood. After he starts school he will never be the same exact little guy again. But after the first few weeks, you will all adjust and it will feel natural. I've been considering The Light in the Ruins for awhile now-- will check back later on for your take on it. Enjoy your week reading, and with family. Is he excited to go to school? I hope so. I haven't heard of any of the books you list and hope you enjoy/enjoyed them. Come see my Monday Report if you get a chance. Have a great week! Yes, he is very excited. We will see how he feels after orientation, when he meets his teacher and sees his classroom for the first time. I am going to have to buy THE BOOKMAN'S TALE. It looks so good. FIN AND LADY looks good too. The Bookman's Tale was pretty good. It's so hard to resist a good story about books, isn't it? I have been curious about The Light in the Ruins and hope to check it out sometime in the library. I hear great things. You might want to look for it sooner rather than later. There was a long queue at my library. I would like to know how you enjoyed The Bookman's Tale. 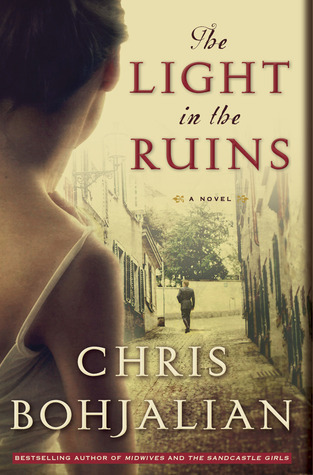 I hope you like The Light in the Ruins- I though it was wonderful-enjoy your reading this week!! 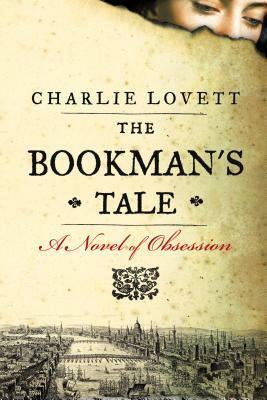 I liked The Bookman's Tale quite a bit, although there were a few plot things I didn't appreciate so much. It's good to hear you enjoyed The Light in the Ruins. Have you read other books by him? Hi Lindsey. I read and reviewed MEN WE REAPED if you want to stop back. 'The Light in the Ruins' looks like an interesting book, Lindsey. Hope you enjoy reading it. Will look forward to hearing your thoughts on it. I am reading Diana Athill's 'Somewhere Towards the End' which is her meditation on old age. Reading the book is like sitting next to one's grandmother and hear her tell stories. Hope you are having a wonderful start to your new week. Somewhere Towards the End sounds lovely. Have you ever read Gilead? It's sort of like that, but from an elderly father. Yes, it was lovely. I finished reading it today and I liked it very much. I haven't read 'Gilead'. Thanks for recommending it. I would like to read it. I think I will like it. Great books this week girly! I loooved Constellation so much. That is the hope, right? I know he will be fine. It's me that I'm not so sure about. I finished Constellation and just have to sit and think about it. The next book I read is going to have to work extra hard! Curious what you will think of The Light in the Ruins. Good luck with the kindergarten experience. 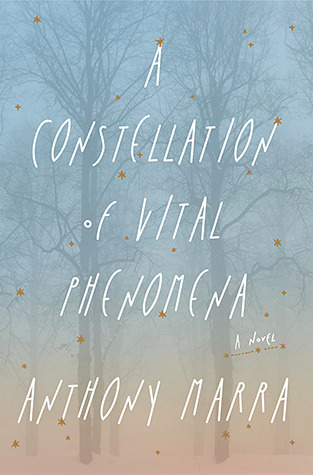 I'm curious to see your review on The Bookman's Tale and A Constellation of Vital Phenomena! Ooh, I'm so curious about Fin and Lady! I've read and reviewed Light in the Ruins... warning, a very creepy serial killer lurks the pages! Also, my daughter is starting Kindergarten too! And guess who her teacher will be? The same (amazing) teacher I had when I was in Kindergarten! I can't wait to see her again. Good luck with that first week, mama!